Swoops in to make save. 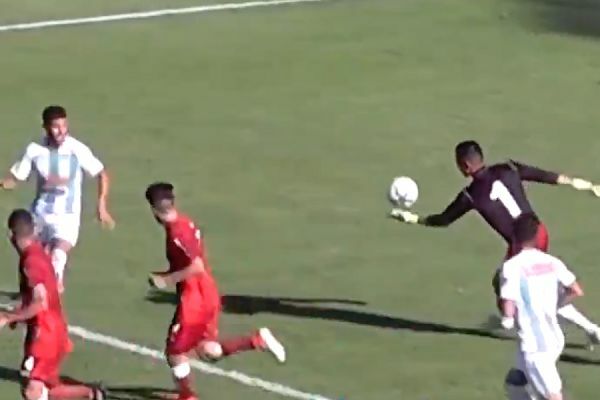 A pitch-invading dog made a dramatic goal-line clearance during Juventud Unida’s 3-0 defeat of Defensores Belgrano VR in Argentina’s third tier on Sunday. The home side were already leading 3-0 in the Torneo Argentino A clash at their Estadio Luis Delfino ground when the incident occurred. They were denied a fourth when one of their players managed to block a goal-kick from close range before rolling the ball towards the empty net. That’s when the goalkeeping pooch swoops in to make the save, darting across the goal-line to prevent the ball going in and sending it bouncing out of play. The result left Juventud Unida 2nd in the table after 15 games, with Defensores Belgrano VR just one point behind in 5th.